The Dexter S194H 09153 Sani-Safe® boning hook has a stainless steel hook that resists corrosion and is durable for commercial use. 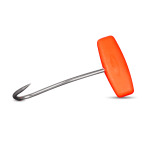 The shape of the hook provides balance, while its point has been ground to a sharp point so meat is easy to pierce. Strength is added to the boning hook since it is hardened to a spring temper. 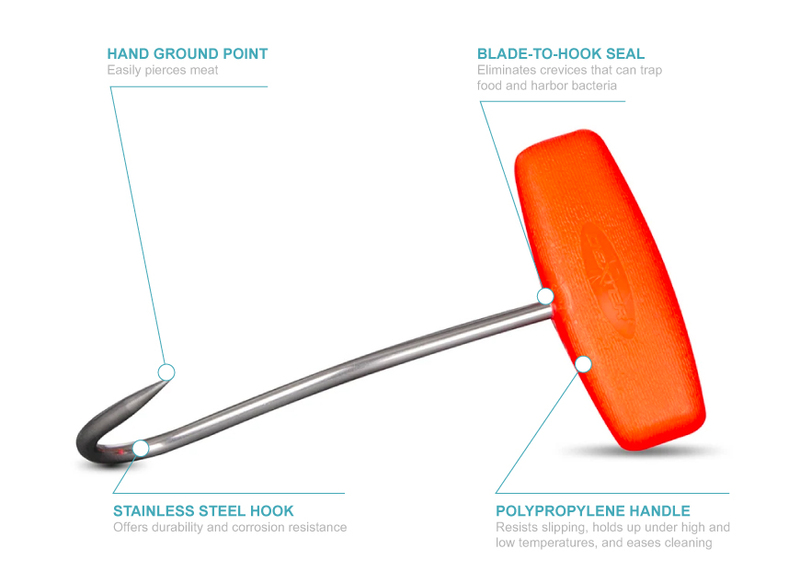 A seal between the handle and hook reduces bacteria growth. The Dexter S194H 09153 Sani-Safe boning hook has an orange handle that is made of polypropylene for durability and easy cleaning.